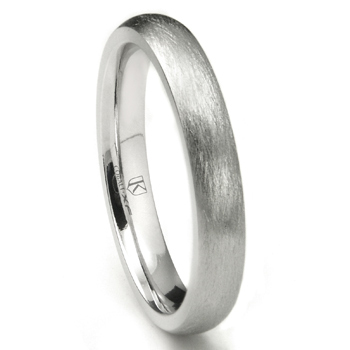 A truly classic looking wedding band is our cobalt xf chrome 4mm Italian di seta finish dome wedding band which is perfect for brides and grooms who like a more traditional style wedding ring. Created with white gold color cobalt chrome with an Italian Di Seta satin type finish on the surface, the ring measures 4 millimeters wide and available in a variety of sizing options. Feel free to contact us with any ring sizing questions. 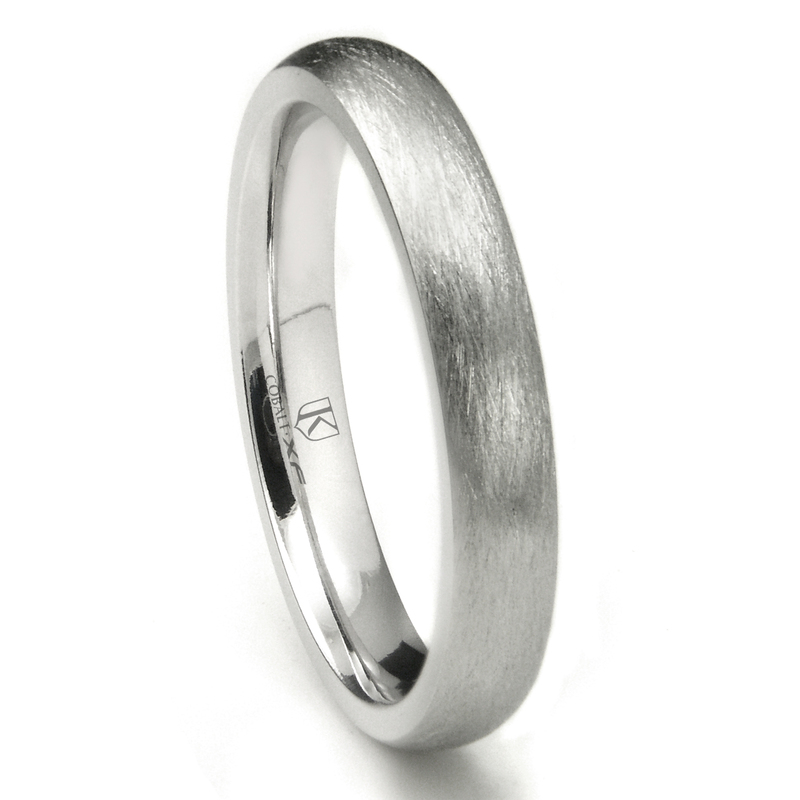 We love creating wedding bands however all of the rings like the cobalt xf chrome 4mm Italian di seta finish dome wedding band can also be the perfect gift for someone celebrating a special occasion. Whether a birthday, sweet sixteen, cantina, graduation, bat mitzvah, or a promotion the ring is 100% hypoallergenic so it will not change your finger colors or cause any other allergic reactions. Be sure to shop our full line of regular and wedding jewelry. We also offer the matching band in 6MM.